How Much Will Your Bath Remodeling Project Cost? The average cost of a typical bathroom remodeling project, if you do-it-yourself can run between $5,000 and $12,000. If you have to hire a contractor to do all of the work, your cost could run a lot higher to about around $10,000 to $20,000. It all depends on what you can do for yourself and what choices you make with a contractor. These are only estimates, as your bathroom remodeling costs will depend on how big the bathroom is, and what exactly you will be remodeling. What will determine how much your bathroom remodeling will cost? Your choice of fixtures, cabinetry and amenities will help determine your overall estimated cost. If you choose a tile floor, the price will depend on what tile you select. They come in a wide variety of styles and price ranges. There is also vinyl bathroom flooring that gives you a wood or tile look. These are nice, since you would not be able to put a real wood floor in the bathroom because of moisture issues. These floors can be very realistic looking and are very economical. No matter what flooring you choose, if you have to have someone else install it, then the cost will increase significantly. There are a lot of different styles you can choose for your cabinetry. The prices fluctuate from dollars to hundreds of dollars. It all depends on your style choices and how much you want to spend. Do you like the antique look or a more modern look? Your countertops can be man-made or granite or marble. Color and size can affect the cost. Will you have a shower/tub combination or will you purchase them separately? Is your tub for one or two people? There are many different extra luxury items you can add to a bathroom these days. Do you want a multiple shower head with multiple settings, towel warmers, floor warmers for tile floors, steam showers, jets in the tub, smart lighting and showers? This is just the beginning of what you could have added to your bathroom. This is where you really need to sit down and decide what you can afford and what you really need. Lighting – This is important because the bathroom is usually where you prepare yourself for your day. Whether you are shaving or applying make up, you need good lighting that will not create unwanted shadows. Installing a lighting system that will allow you to dim or increase the light is a great addition, and will allow you to get up and get ready in the morning or relax with a dimmer light when you take a long relaxing soak in the tub. There are many accessories you can add to your bathroom. All in one medicine cabinets with lights and mirrors serve multiple roles as storage and lighting units. You will need to select towel bars, decorative accessories for your counters, furniture, shower curtains, rugs and curtains. This is very important. 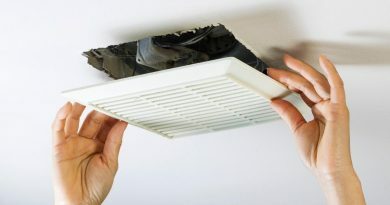 If you do not have the proper ventilation, you will likely end up with mold and mildew on the walls and ceiling due to the humidity in your bathroom. You should look into an exhaust fan that has a light as this is an added bonus. Make sure when you are adding the duct work for the exhaust fan that the duct work is as straight as possible to help the exhaust fan run more efficiently. These are only a few of the factors that make estimating a bathroom remodeling project such a fun and exciting challenge. Your bathroom is your personal space. You and your family should feel relaxed and be able to enjoy what it has to offer.